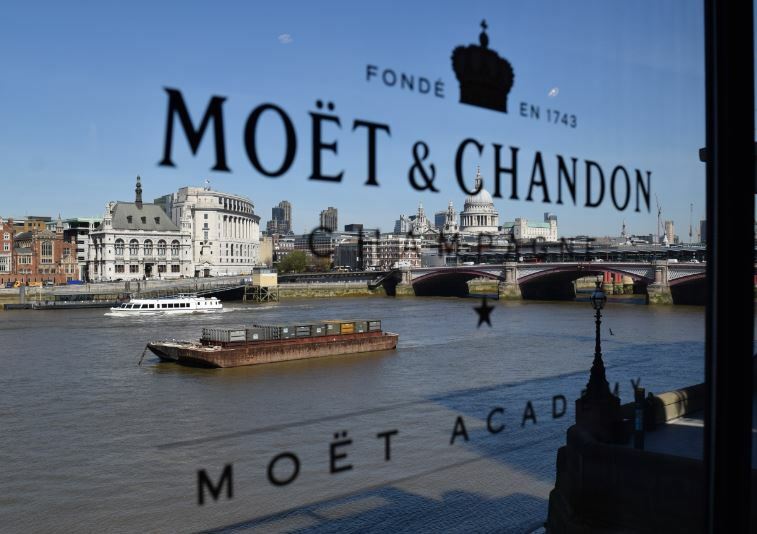 Moét & Chandon have set up camp for the next two weeks in the Oxo Tower, London to spread the word about their Champagne, their history, and an opportunity to taste through their range. This is the first time that such an academy has been run, and on one of the hottest days of the year so far, you couldn’t get me through the doors fast enough. The academy is split in to two halves of 45 minutes each. 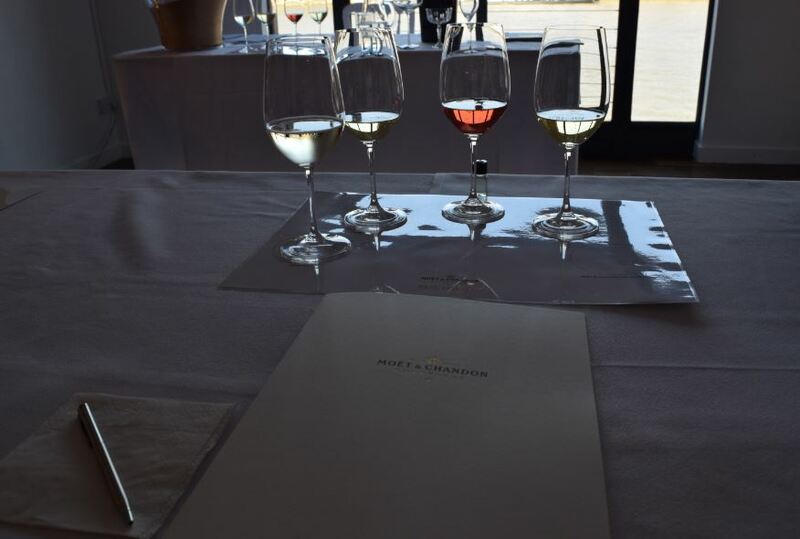 First up is approved WSET educator Jonny Gibson, providing a bite-size history of the company, and then guiding you on a walk through the vines (literally!). In a no expense spared move, Moét have transferred rows of all three of the grape varieties found in Champagne (Chardonnay, Pinot Noir, Meunier) in to the first stage of the tour. Interestingly the vines have been growing in artificial sunlight for the last 3 weeks to make them a little more advanced in growth than they would be at this time of year. This, in turn, makes them a little bit more interesting to look at (as a small time grower of Chardonnay I was worried that my own ones were well behind!). In order to appreciate what happens next to the grapes, we were treated to an exciting and rare opportunity to try the still base wines for M&C Impérial NV (Non Vintage). This is something that few outside of the blending team and key Moét staff ever get to try. Base wines will be re-fermented in bottles, and a full three and a half years later, you have the final product. It was fascinating to be able to compare these base wines with the finished product later in the academy, in order to fully appreciate just what the second fermentation adds. Following a video demonstration of how bottles are disgorged/readied for sale, it was on to the tasting area which is being run by the husband and wife team of Peter Richards MW and Susie Barrie MW (both will be familiar to viewers of BBC1’s Saturday Kitchen). As they’re taking turns to present back the tasting sessions, whilst Susie was on-hand throughout, Peter was very much running the show today. Bizarrely enough for a Champagne tasting, the first wine to be tasted was a Prosecco! It’s understandably a rarity for Moét to include an Italian sparkler in their tasting line-ups, but it helped to set the scene as to how classic the entry level Non Vintage is. 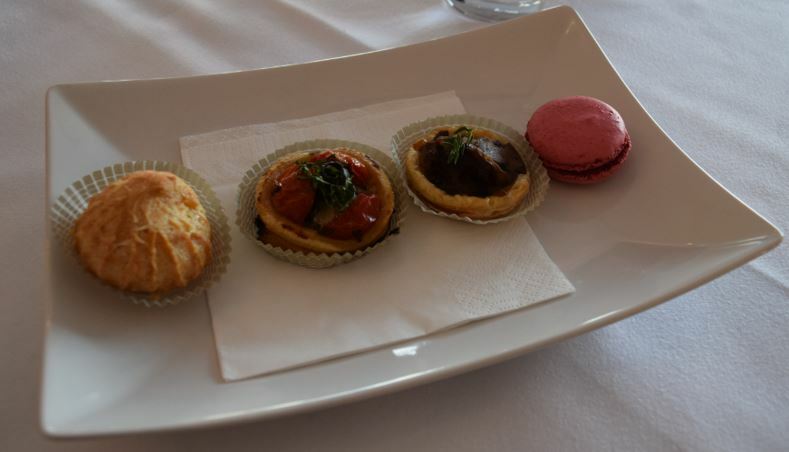 In the interest of space I won’t go in to my personal tasting notes for each pairing, but suffice to say, there was more than one surprise for me here, and the food matching was an unexpected element to the academy. Also of surprise, was the inclusion of the M&C Ice Impérial which made its debut in the range only last year, and is not something I’d heard of before. This is a specific blend, made to be served over ice, and is a lively fresh experience that will no doubt be extremely popular over the warmer months. The ever affable Peter Richards was a joy to listen to and made time for everyone afterwards. I’ve been on a fair few cellar tours and tastings in my time, and the one thing that brings them alive for me (apart from getting to try the wines) is the small anecdotes which are useful when getting complex matters across, or make for good use as small talk at parties. For instance, I was aware that the pressure in a bottle of Champagne was the equivalent to that found in the tyre of a double-decker bus, but this was also augmented with the fact the pressure is also the equivalent of being 50 metres underwater. And did you know that Champagne corks have been measured leaving bottles of Champagne at 60 miles per hour? I was highly amused at Peter’s own way of remembering the key starting issue of how to pronounce the word Moét. The main way people tend to pronounce it is Mo-ay, but as that can be rhymed with ‘No Way’, you know it’s not right. If you pronounce it Mo-et, that’s not right either, as ‘Mow it’ is something you do with your grass. Finally, the way to get it right was to think of the great Champagne you are tasting and to think ‘Mmmm, wet’, ergo Moét (or Mwet). I think he was right that it sounds much better in a French accent when saying it correctly, and I think it will take me some time to get out of the grass mowing pronunciation. The Academy was a fantastic experience, and a huge thank you goes to both Tesco and Moét for providing the opportunity! Next Next post: Your place or mine?